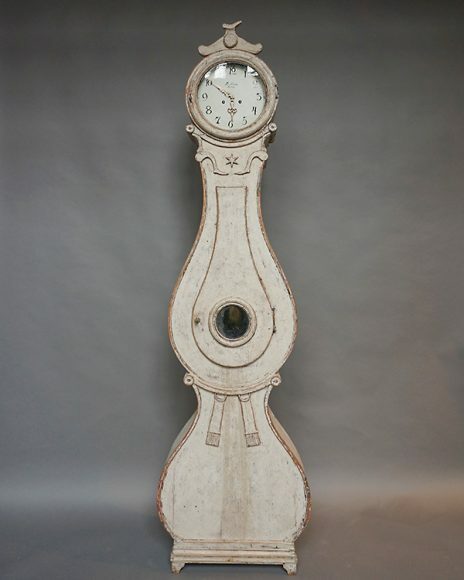 Early Mora clock in hand-carved case from the Fryksdal region, Sweden circa 1820. 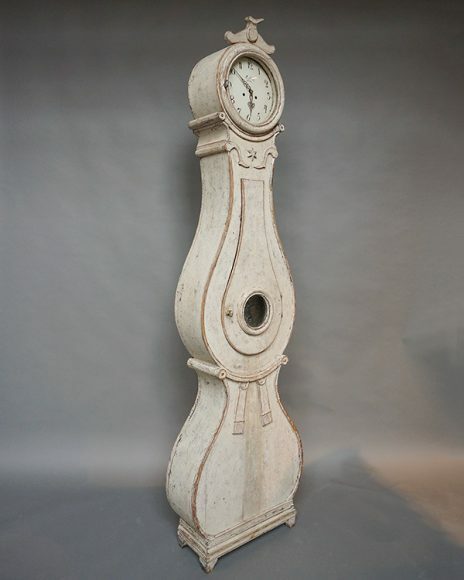 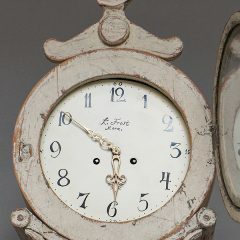 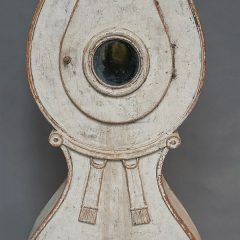 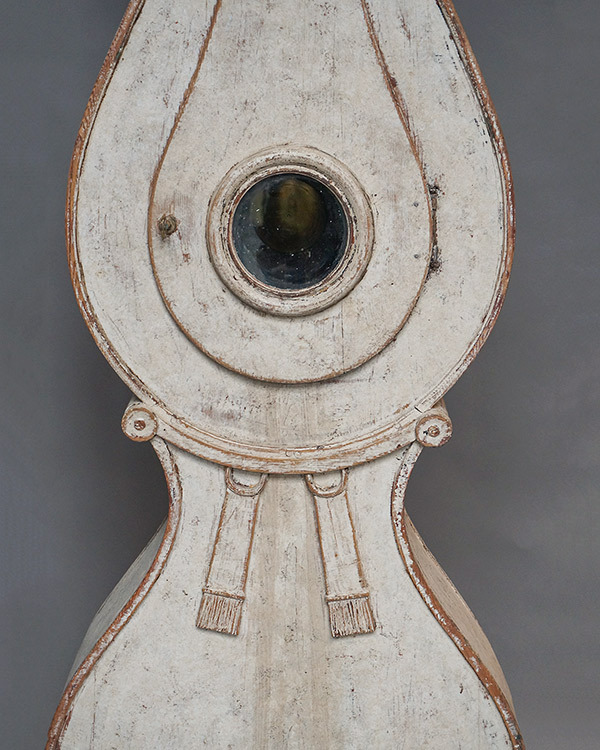 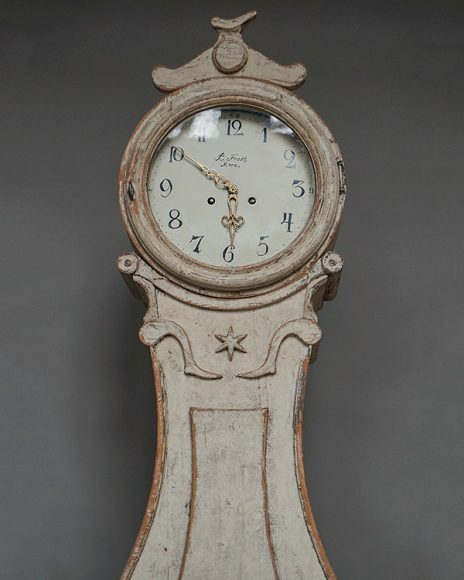 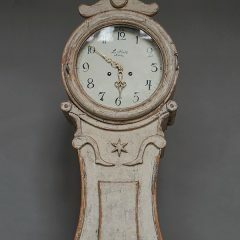 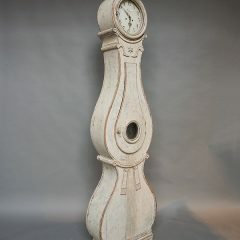 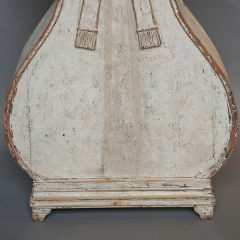 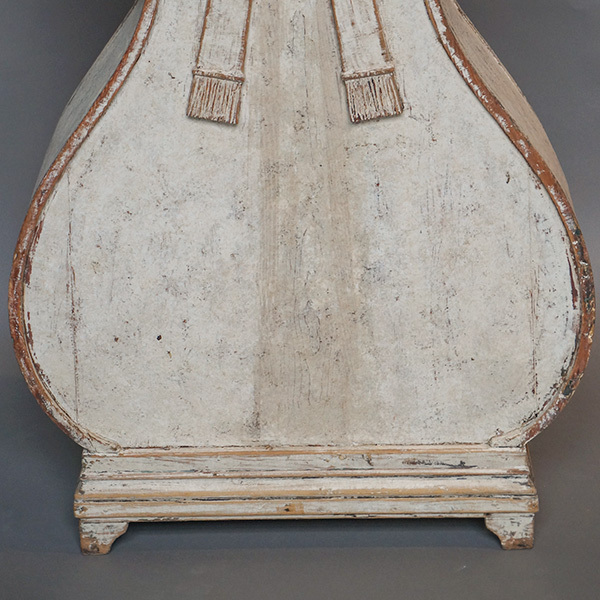 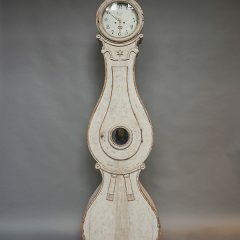 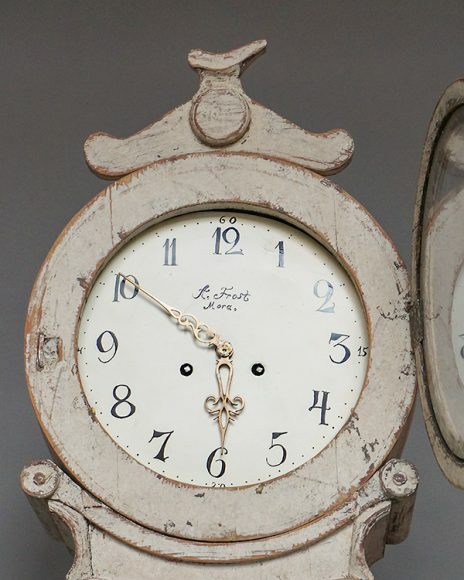 This beautiful clock has a primitive bird carving at the top, and carving on the “neck” and below the “belly” reminiscent of the traditional Swedish bride’s costume. The original clockworks have been newly cleaned and adjusted.